When I was at school (not so long ago – honest!) there was a period of time when sightings of unidentified big cats in places such as Cornwall and Dartmoor were common place in the tabloid newspapers. As a teenager I found these stories rather intriguing. Perhaps it was the allure of the unknown that fed my imagination, or the idea that these predators were surviving against all odds out with their preferred environment and eluding humans in the process. Rarer animals that avoid human contact and lurk far from civilisation often do have that bit more appeal than the common, every-day species of animals that share our lives and lands. I think it’s the air of mystery which they create, through the privacy they crave and their almost secretive nature, which sparks our imagination. One such example, which has quickly become a favourite of mine, is the Scottish Wildcat. 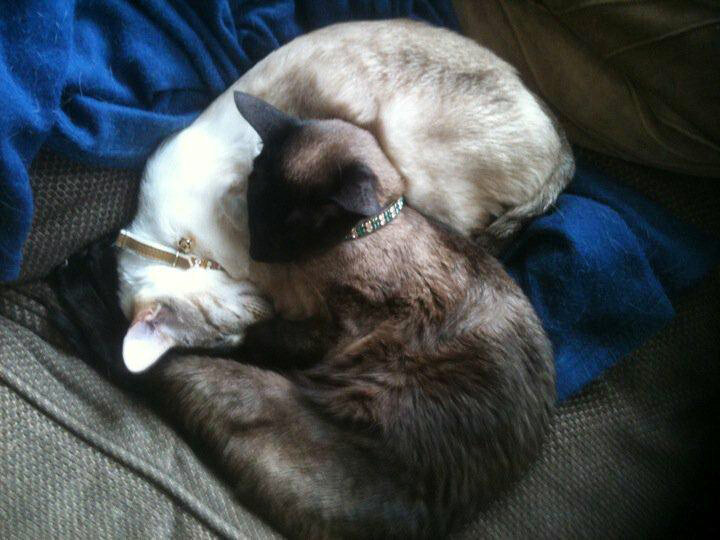 I share my home with two gorgeous (although I recognise that I am slightly biased) Siamese cats and I am incredibly fond of them. They’re cuddly, affectionate, comical, cute and amazingly human-like, but the thought of them surviving without the comforts with which I provide them is almost not worth considering. Their breeding and the way I have raised them has resulted on them being almost entirely dependent on me. A good example of this was provided during the period of heavy snow at the end of last year. As I trudged in and out of the house collecting wood from the shed for the fire I left the back door of the cottage open. Isis, the more inquisitive of my two cats, decided to venture out on to the door step, putting her front paws into the snow that had gathered. Next thing I heard was an almighty cry (more like that of a baby than a cat) and a flash of black fur as she shot past me back into the warmth of the house – she hasn’t attempted to venture out since! As much as I love my cats (I even got rid of my husband because my cats were allergic), I found myself even more greatly charmed by their native cousins when I visited the Highland Wildlife Park this weekend. Just as beautiful as my domestic felines, these cats are truly enthralling creatures – in their natural environment they are extraordinarily illusive and extremely wary of humans, keeping well away from populated areas. It is thought that there are as few as 400 of them left in the wild, hiding out in the remotest, most isolated parts of the Scottish Highlands – so seeing them in their natural habitat is a very special treat for those lucky enough to do so. Seeing these untamed, independent and self-sufficient wild animals, with their perfectly honed instincts, determined nature and resilient attitude it was difficult to believe that the delicate, indulged, wimpy wee ‘scaredy’ cats that I live with are related to them at all! 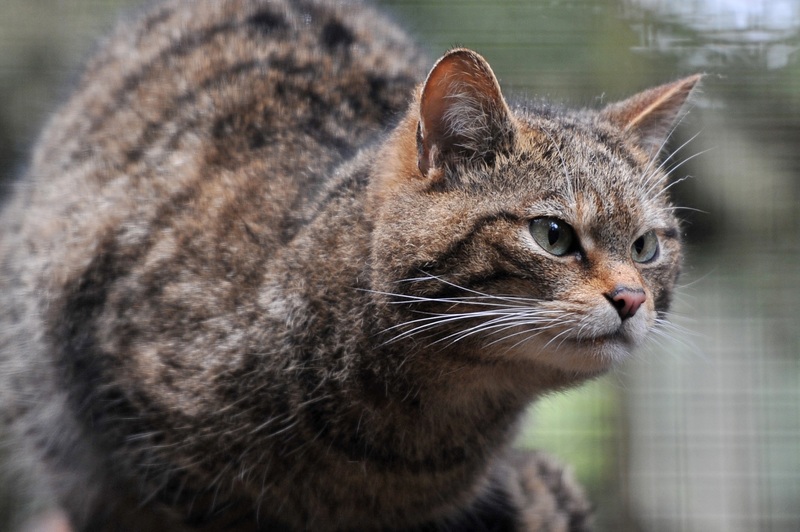 In my eyes Scottish Wildcats resemble larger cats such as tigers, lions and pumas, more than they do our domesticated pet moggys and I think it is the inherent unpredictability and enigmatic attitude that they share with larger predators which makes them so enchanting and fascinating. If you have the opportunity to visit one of the centres which is supporting the survival of this scarce, and often underappreciated, native prowler I wholeheartedly recommend you do so. If you want to get £2 off per person, per ticket, to visit the Highland Wildlife Park , Scottish Holiday company ‘Unique Cottages’ are running a discount promotion, just sign up to their free E-magazine or join them on Facebook to gain access to the offer.